Visit us every weekend for our Bottle Sales Hours! If you have a large group (8 or more) please contact us in advance to schedule your visit. Please note that visits at all other times for bottle purchasing are by appointment only. Important: See detailed maps and directions below. Do not trust GPS! Upon arrival, you will need to use the call box at the door for entry. Dial 111 from the call box and push on the door to open when you hear the entry tone. If you must use GPS or a mapping program, enter 3928 Euphrosine St. Using this address, you will wind up at the gate to the loading area. From there, proceed around the corner to the door facing Broad Street. 3928 Euphrosine Street. The gated area at the back of the building. Proceed in the direction of the red arrow and go around the corner. Hours: 10am to 2pm, Saturday and Sunday. We offer tastes of our products to visitors at no charge. Calio Rum, 90 proof, 750ml, $35. Euphrosine Gin #9, 90 proof, 750ml, $30. Euphrosine Gin #9 Barrel-Finished Reserve, 90 proof, 750ml, $40. Toulouse Red, 136 proof red absinthe, 750ml, $60. Toulouse Green, 136 proof green absinthe, 750ml, $60. Buck 25 Vodka, “Professional Infusion Grade,” 125 proof, 750ml, $20. Euphrosine Season T-Shirt. Sizes S-M-L-XL-XXL are available, $20. *Except as noted above, all sales taxes are included in these prices. We cannot ship our spirits for you, however, we have some 12-pack wine shipper boxes on hand so that you can ship them yourself or check them on your flight. FREE with purchase of 6 bottles or more. No barrels are available at this time. We’ll update this section when more barrels are available. Payment Details: We accept cash, local checks, and credit cards. Due to regulations of the LA ATC, all sales at the distillery are for your personal consumption only. No sales at the distillery to licensed retail outlets. * All persons are limited to the purchase of a maximum of 12 bottles every 30 days. We may request your driver’s license to verify you are of legal age. All visitors must be 21 years of age or older. *Retail Accounts: contact our Louisiana distributor, International Wine & Spirits, 504-736-9577. For other states, see our Where to Buy page. RED: take Jeff Davis towards uptown. Cross the I-10 overpass, then take a left at Euphrosine St. Come down Euphrosine St. until you’re underneath the Broad St. overpass. Look for “Art Egg” sign and park underneath the overpass. 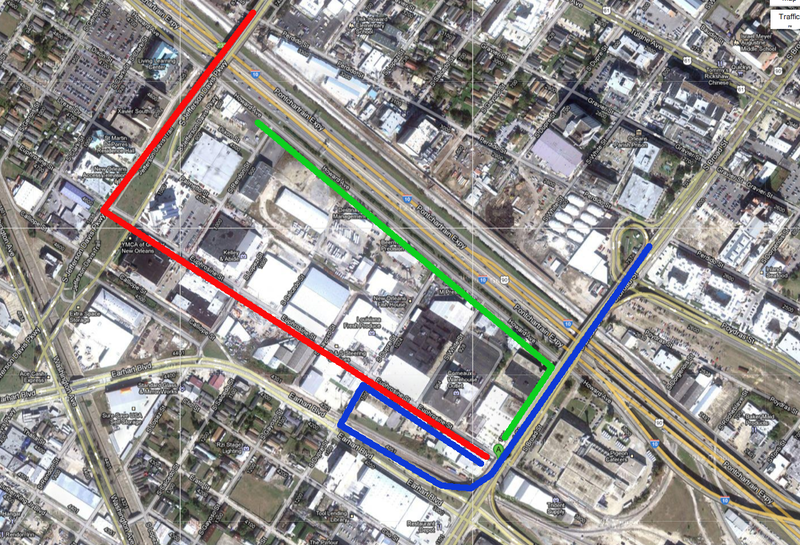 BLUE: take Broad St. towards uptown. 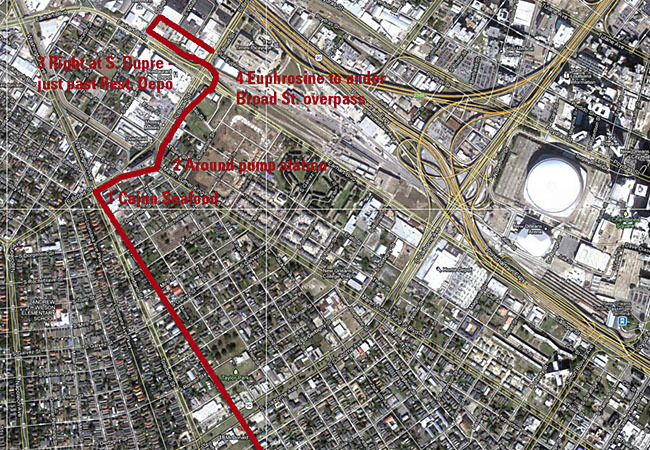 After crossing the I-10, take the Earhart off-ramp, then turn right on S. Dupre, and then a right on Euphrosine St. Come down Euphrosine St. until you’re underneath the Broad St. overpass. Look for “Art Egg” sign and park underneath the overpass. GREEN: Take Airline, and follow the Airline ramp for I-10. You’ll almost immediately get off at the Howard Ave. exit. Take Howard Ave to Broad, turn right on Broad and come down 1 block to Euphrosine St. Look for “Art Egg” sign and park underneath the overpass. 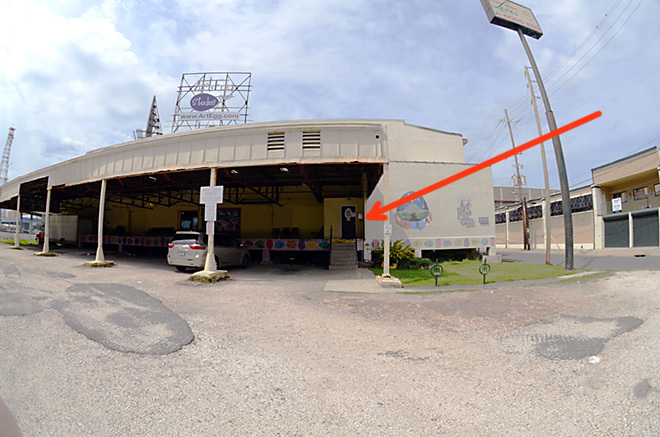 We’re in the Art Egg building at the intersection of Broad St. and Euphrosine St. Enter on Broad St. side. Additional Route, via Washington Ave. and S. Broad St.
Take Washington to Broad St. 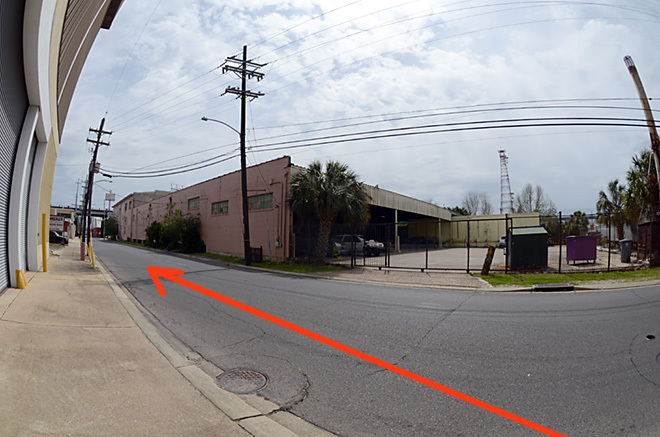 Turn right on Broad (Cajun Seafood) and go around the pump station. Take the right turnoff, don’t get on the overpass. Take the turnoff onto Earhart, you will pass Restaurant Depot and take a right on S. Dupre, then another right on Euphrosine. Take Euphrosine towards downtown, park under the Broad overpass. 1001 S. Broad, Art Egg building.